Swimquip filters allow you to cleanse and purify the water in your pool and spa system. Swimquip filters allow you to cleanse and purify the water in your pool and spa system. 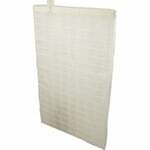 Filters Fast carries a selection of Swimquip products, along with many others, on our website. The Swimquip DE Grid- Center Port Filters- 18 x 5 x 18 is a pool filter grid that measures 5" in diameter and 18" in length. 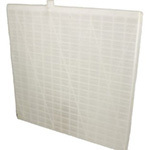 This compatible Swimquip filter has a 100% polypropylene cloth that effectively improves water quality. The Swimquip Comp. 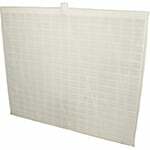 Center Port Grid Filter- 18x20.8x18 is a DE grid filter with 100% polypropylene cloth that provides high dirt holding capacity and low pressure drops. This compatible Swimquip filter measures 20.75" in diameter and 18" in length. The Swimquip Comp. 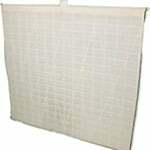 Center Port Grid Filter- 18x22x22.5 is a DE grid filter with 100% polypropylene cloth that provides high dirt holding capacity and low pressure drops. This compatible Swimquip filter measures 22" in diameter and 18" in length. The Swimquip Comp. 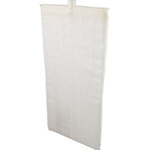 Offset Port Grid Filter- 18x11x18 is a DE grid filter with 100% polypropylene cloth that provides high dirt holding capacity and low pressure drops. This compatible Swimquip filter measures 11" in diameter and 18" in length.